Joint and bone development at a slow and steady pace is very important for large breed puppies. 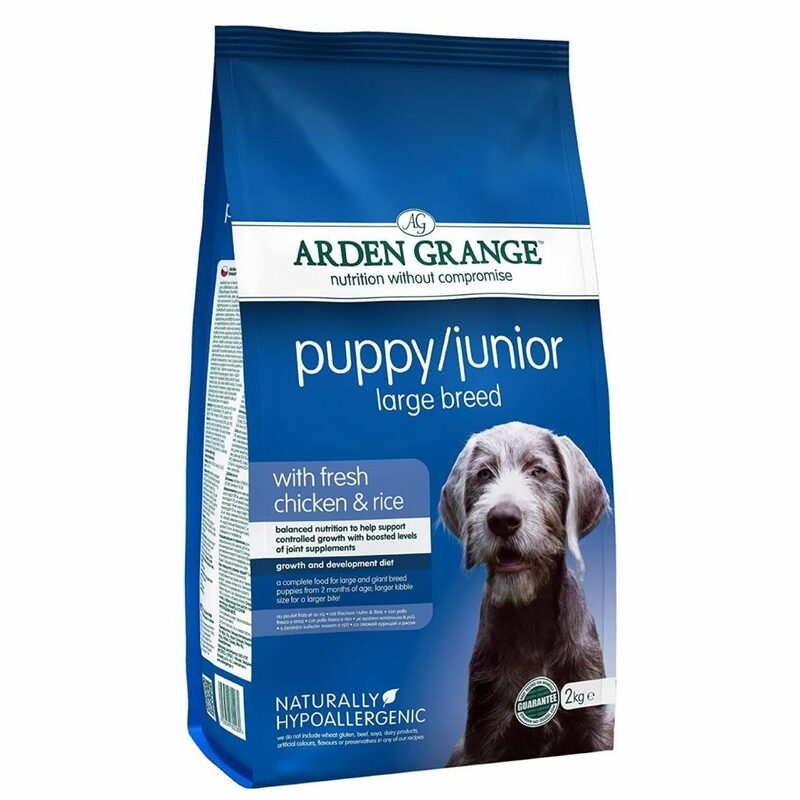 Arden Grange Large Breed Junior Puppy Food is inclusive of all the essential nutrition that aids this including chondroitin, MSM and glucosamine. 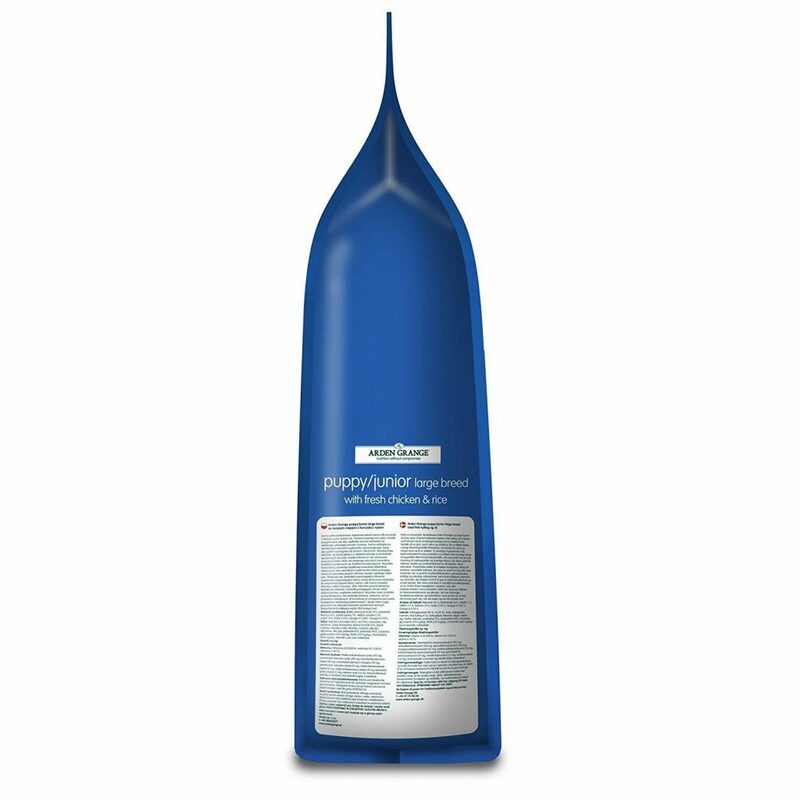 These help to maintain strong joints and supple cartilage. With 35 % of the food being made up of chicken, it is rich in protein that helps puppies grow strong. 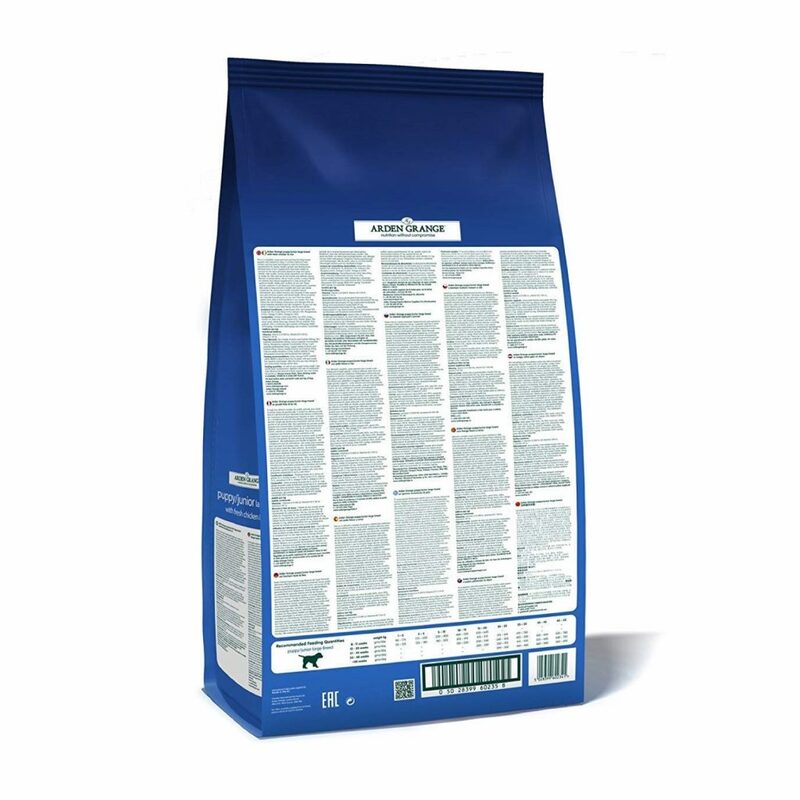 This recipe differs from regular Puppy Junior as it is less energy dense, ensuring the steady and measured growth that is so important for large breed pups. Analytical Constituents: Crude Protein 26%, Fat Content 16%, Crude Ash 7%, Crude Fibres 2.5%, Calcium 1.4%, Phosphorous 0.95%, Omega-3 0.74%, Omega-6 3.35%. Composition: Chicken, (chicken meat meal 30%, fresh chicken 5%), rice 19%, maize, refined chicken oil, beet pulp, chicken digest, krill, minerals, yeast, whole dried egg, whole linseed, prebiotic FOS, prebiotic MOS, glucosamine (370mg/kg), MSM (370mg/kg), chondroitin (260mg/kg), yucca extract, cranberries, nucleotides. Vitamins: Vitamin A 21,000 IU, Vitamin D3 1,575 IU, Vitamin E 280 IU.